Doha, the capital of Qatar, offers event planners some unusual venues with a cultural theme. 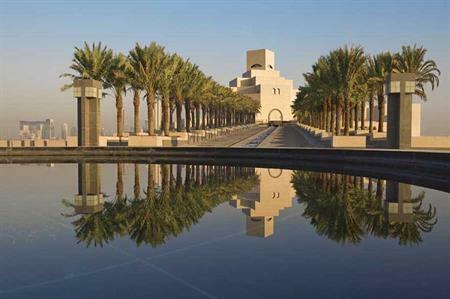 Museum of Islamic Art: Opened in 2008, the building has an education wing housing classrooms that are available for meetings and seminars, and an auditorium that can cater for up to 200. For dinner options, the atrium can seat between 500 to 600. National Museum of Qatar: Scheduled to open in December 2014, the National Museum of Qatar, designed by award-winning architect Jean Nouvel, will be located at the south end of Doha’s Corniche. It will include 21,500 square feet of temporary gallery space, a 220-seat auditorium and a restaurant. Katara Cultural Village: Home to various concerts and exhibitions, the Village has a range of event spaces, including a multi-functional hall that can host up to 2,250 theatre-style, or 1,400 for receptions and Opera House that seats up to 550.